Aside from the issue with Maps not quite living up to the high standards of consumers, the iOS 6 has been fairly incident-free thus far, but while it may have been adopted in record numbers, a major bug has been discovered with the new Apple mobile software. Although it is said to have been amended in iOS 6.0.1, those on 6.0 could be susceptible to a bug in the AV Framework which causes podcasts and audio streams to download more than once, potentially leading to significant data overages for those downloading over a cellular connection. The obvious solution to remedy the issue is to update to iOS 6.0.1 (you can download iOS 6.0.1 from here), but not everybody has done. In fact, a large chunk of iOS 6 users have stuck with iOS 6.0, and it is they who’re in a position whereby their data usage could inadvertently go through the roof. 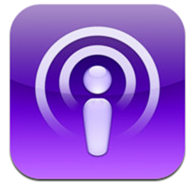 Various apps appear to be affected by the iOS 6.0 issue, such as Apple’s own Podcasts and a number of other apps utilizing the streaming player, such as iTunes Match. What’s happening is, instead of just downloading a podcast or audio stream just the once, connection errors force a new session to be created over and over again. The app thinks the stream has stopped due to error, but in actual fact, the stream simply continues in a cyclic motion – racking up the downloaded MBs and GBs in the process. Because the ranges of these requests seem to overlap and the requests themselves each carry some overhead, this causes a single download of an MP3 to use significantly more bandwidth than in iOS 5. In one case, the playback of a single 30MB episode caused the transfer of over 100MB of data. As you can see, with data transfers clocking in at up to and over three times as much as they are supposed to, this issue has the potential to really spill over. PRX maintains the issue, which doesn’t affect those running iOS 5 or earlier, is fixed with iOS 6.0.1, but then again, a quick glance over at the Apple forums suggest users are still having problems. If you suspect your iOS 6 device may be affected and want to play it safe, stick to Wi-Fi for all of your streaming needs for the time being.